Don't miss the 32nd annual Fiesta Old Town Cinco de Mayo 2015, a San Diego tradition since 1983. This celebration in Old Town is the largest event of its kind in Southern California. Three days of music, food and fun. Come out to an evening of dancing and celebrating our heroes' healing through the arts! With live music from the Manny Cepeda Orchestra, arts exhibitions from three amazing organizations that serve our veterans, and a phenomenal guest speaker, this is an evening that promises to be just as enjoyable as it is honoring to our local heroes. EVERY TICKET HOLDER WILL HAVE A CHANCE TO WIN A TRIP FOR 2 TO CUBA! 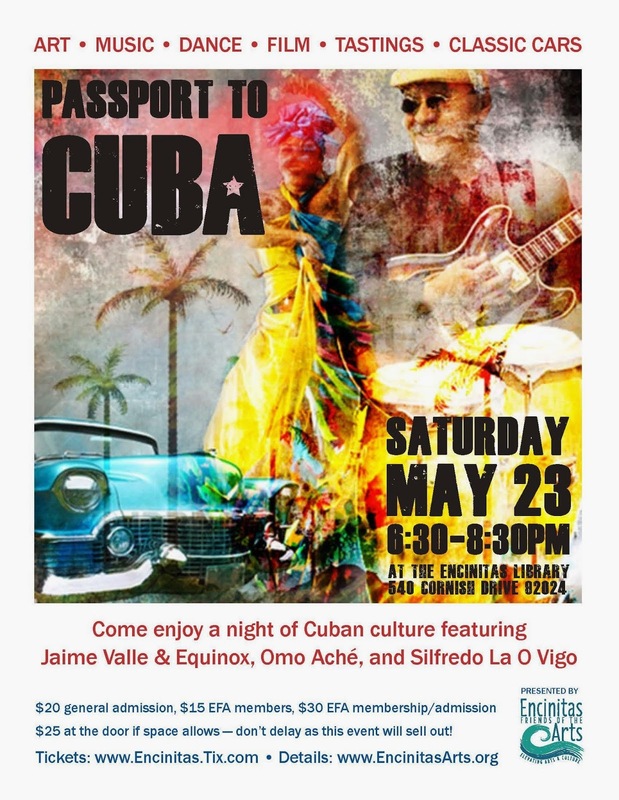 Thanks to an anonymous donor and our good friends at Metamovements Latin Dance Company, EVERY PERSON who purchases a ticket to this event will receive a raffle ticket for this trip! Don't miss this chance to meet and support our local San Diego veterans who are all using the arts to heal. Get your tickets online today by clicking this link. In honor of International Dance Day, we will be hosting an evening of salsa dancing at Dance Asylum in Costa Mesa on Saturday, May 2nd. This is an event for ALL LEVELS. The evening will start at 6:30pm with both a beginning and an intermediate Cuban salsa (rueda de casino) dance class taught by the wonderful Robert Morales, from Rueda in the Park Santa Ana, and yours truly, Carlina Villaverde. At 7:30 we will have an amazing guest teacher, Ercan Derekoy, give a musicality workshop. This workshop is about the evaluation of salsa and musicality: how to connect to the music, listen, and react to it. This will be a highly beneficial workshop for all dancers, whether beginner or professional. Ercan Derekoy is a very knowledgeable dance instructor with years of teaching internationally. You won't want to miss this! The evening will finish off with a social dancing after party with DJ Ercan spinning the iPod. Dance your heart out and have a great time practicing all the new things you have learned. This event costs $20 for entry. This includes the dance class, the musicality workshop, and a night of social dancing. Feel free to bring any wine or drinks of choice to spruce up the night. I hope to see you all there!! INTERESTED IN TAKING A CUBAN SALSA CLASS? You have so many instructors to choose from in San Diego County! There is a class going everyday throughout the week. Here is a the Cliff Notes version of the Dance Instructor Tab of this blog for just Cuban Salsa/Rueda de Casino. Contact information is listed on the Dance Instructor Tab. SUNDAY: Cuban Salsa Casino Series with Master Instructor: Juan Carlos Blanco; 1pm-2pm at the WorldBeat Center, 2100 Park Blvd., San Diego, CA 92101 $10.00 a person. SUNDAY: Tim Snedeker teaches Rueda de Casino in Encinitas at Dance North County, 535 Encinitas Blvd #100, Encinitas, CA 92024; 5pm-6:30pm is Beginner level and 6:30-7:30pm isintermediate level. (No class on May 3rd), But will resume the following Sunday. TUESDAY: Wilfredo Guilbiac Rodriguez teaches a Salsa Suelta class (Cuban Salsa-line dancing - this is popular is Cuba currently; great for body movement and footwork styling for casino 1-on-1 dancing and rueda) in North Park at Dance Unlimited - 4569 30th St. San Diego, CA 92116; 8pm-9pm intermediate. $15 for both classes. $12 for one class. WEDNESDAY: Maritza Baida teaches beginner level rueda de casino in Carlsbad at Dancessense Studios at 7pm - 2441 Impala Dr., Carlsbad, CA 92010; A month series is $60.00 and drop in is $20. F/T students get a 70% off; 10% Off for Fire, Police and Military. It's FREE to watch. THURSDAY: Wilfredo Guilbiac Rodriguez teaches Casino/Rueda de Casino in North Park at Dance Unlimited - 4569 30th St. San Diego, CA 92116; 7pm-8pm beginners 8pm-9pm intermediate. $15 for both classes. $12 for one class. FRIDAY: Rodrigo "Rudy" Tamayo teaches a rueda de casino class at A Time To Dance Studio in North Park - 3982 30th St. San Diego, CA 92104. This is a FREE rueda de casino class. Starts at 8:30pm. FRIDAY: Raquel Gordillo teaches Casino/Rueda de Casino in Tijuana, Baja California (Mexico) at Antigua Bodega de Papel: Calle 11va. 2012, entre Revolucion y Madero, Tijuana, Baja California, Tijuana Centro from 9pm-10pm. SATURDAY: Wilfredo Guilbiac Rodriguez teaches Casino/Rueda de Casino in North Park at Dance Unlimited - 4569 30th St., San Diego, CA 92116; 1-2PM beginners 2-3PM intermediate. $15 for both classes. $12 for one class. It's that time again (last Thursday of the month)for salsa dancing in Club M at the Grand Hotel Del Mar. Combo Libertad will be playing live and casineros will be in the crowd to dance and call some ruedas. 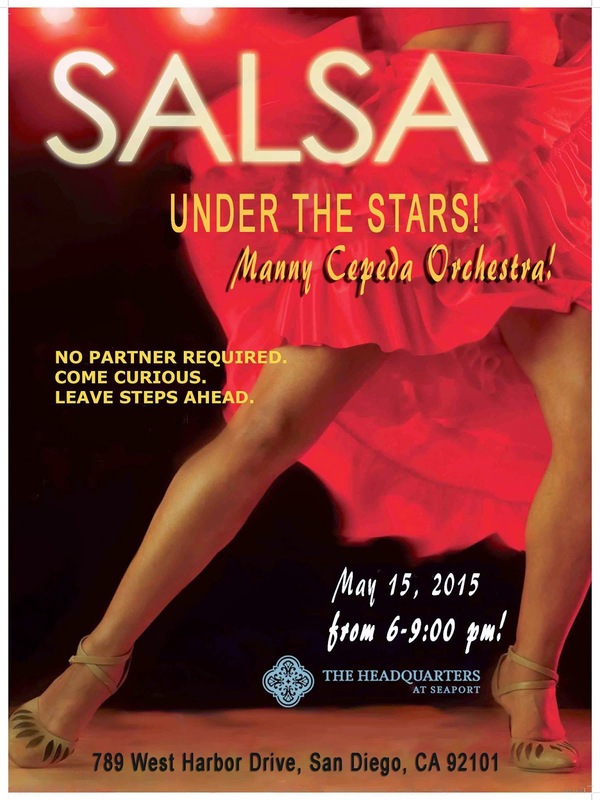 Spice up your Thursday night with a complimentary lesson, live salsa music and dancing plus an all-night happy hour! Mark your Calendars for a big event. Dancessense Studios and Son Pa Ti have collaborated with Maritza Baida to bring you a fun fill evening of Latin Dancing. Come early to attend Maritza's Latin Dance class from 6:00 till 6:45. Then our Host Melissa Dexter will invite you out to the main dance floor from 7:00 till 10:00 pm. A $12 Entry fee is all you need to attend. Healthy snacks, water will be available as part of your entrance fee. 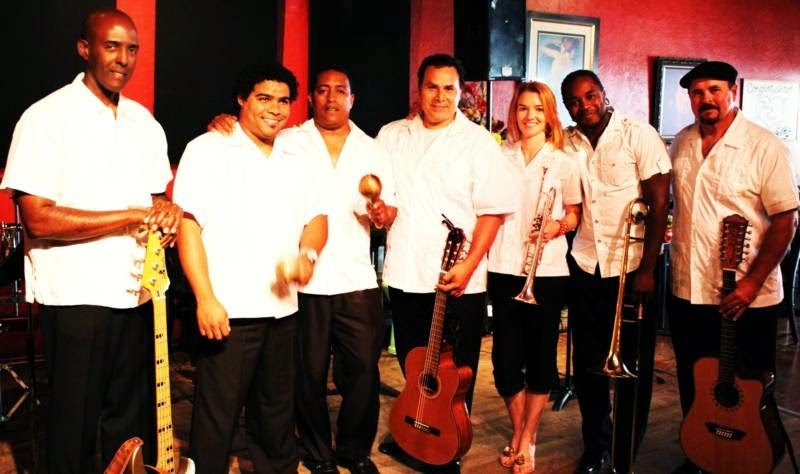 If you liked the first one of the series, get ready for more Salsa, Merengue, Cumbia, Bachata and Cuban music from the #1 Salsa Band in San Diego, "The Manny Cepeda Orchestra!" Don't miss it if you didn't come last time!!! SeeYa!!!! TREMENDA GOZADERA! CUBAN STYLE DANCE TIME! 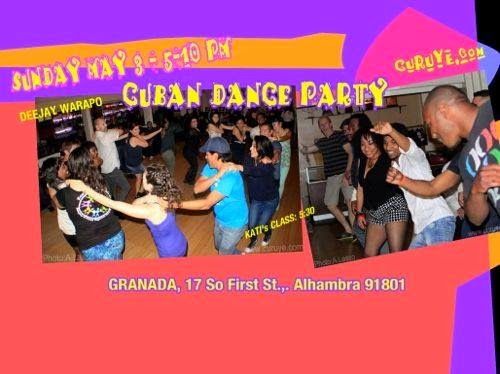 CUBAN SALSA TIMBA SON RUMBA y REGGAETÓN is what DEEJAY WARAPO will BE PLAYING! YOUR DANCIN' FEET MAKING THE GRANADA's DANCE FLOOR SMOKE! HELP SPREAD THE WORD! BETWEEN THE SALSA, SON, WE'LL BE DANCING CONGA & REGGAETÓN LINES, so you'll be FREE TO EXPRESS YOURSELVES! KATI HERNÁNDEZ and her PA' LA ORILLA DANCE TEAM will be teaching you some spicy AFRO TIMBA at 5:30 PM, so come early! The GRANADA's restaurant offers us everything from tasty wraps, salads, and sandwiches, to entrees such as Cuban style 'lechón asado' (roasted pork), Curuye's particular favorite! BRING YOUR FRIENDS, GOOD ENERGY, RHYTHM, & DANCE SHOES! ALL AGES WELCOME! AND WE ALSO HAVE A DOMINO TABLE if you might like to sit a bit between dances! 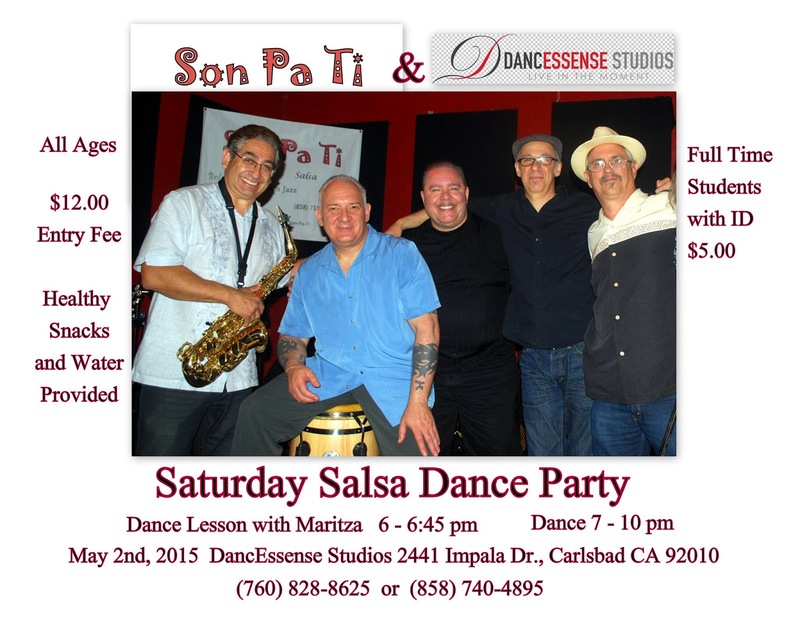 $10 cover includes Kati's Afro Timba class. The Granada and Curuye appreciate your support by leaving personal beverages at home! Casinero invasion at Balboa Park at CacaoFest 2015. What better way to meet up, dance some ruedas, go to all the chocolate tastings and hear some live music. Maybe they will some salsa, but no matter, I'll bring the boom box and we can practice random act of Cuban movement at the park!! Want to come visit New Orleans AND dance all weekend? Come join us Memorial Day Weekend. We are doing what we do best, throwing a party! All weekend long. 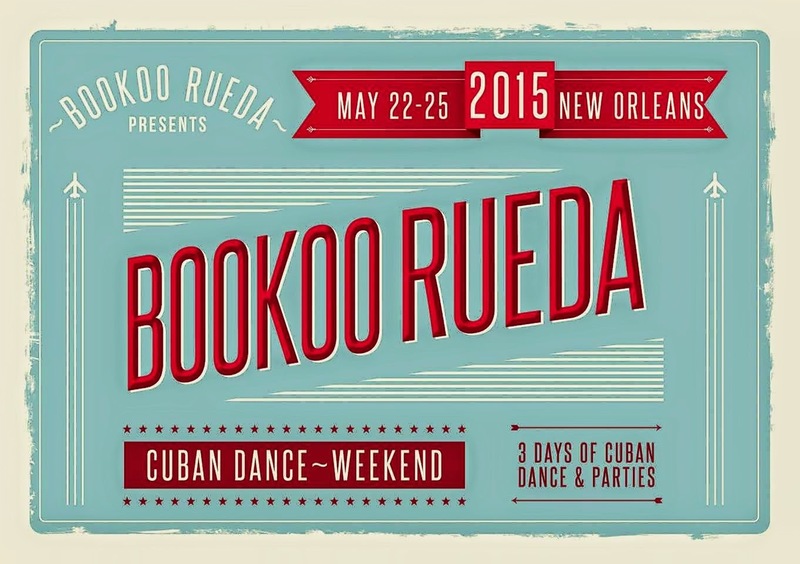 3 days of Cuban dance & parties. A la carte group and private lessons with Mike Eskeldson from Rumbanana Dance Group in Corvallis, OR. 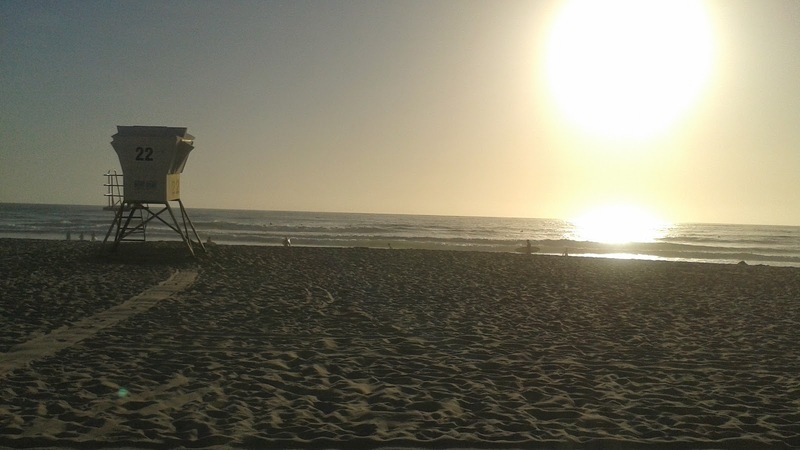 WE ARE GETTING OUT THE CARDBOARD ON THE SAND AT MISSION BEACH and dancing until the sun goes down. Come dance with us at this new site. It will be a beautiful day for pictures and reunions of dancing families far and wide. Come join us. Parking - There will be parking issues. It can be very crowded with tourists and beach-goers. Suggest to carpool. Drive to the intersection of Pacific Beach Dr. and Mission Dr.. 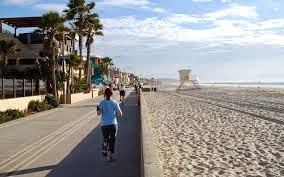 There is a parking structure underneath the strip mall on Pacific Beach Dr. nearest the beach. Bring beach chairs, a snack to share. Water will be provided so if you want to bring something else to drink, you can. There are plenty of places to roam around nearby and get food as well. A donation for the our snap-together dance floor is appreciated. We'll be calling ruedas and leading salsa sueltas and one-on-one casino/salsa. A short rueda lesson will be offered as soon as the floor is taped and ready to go.